Almost certainly, Samsung will announce the Galaxy Note 3 during (before) IFA 2013. Galaxy Note was announced during IFA 2011, Note 2 was in IFA 2012. There are some leaked images and specifications circulating around. But none of them accurate, because Samsung surely produced several prototypes for evaluation. A few additional prototypes may be just to confuse competitors. 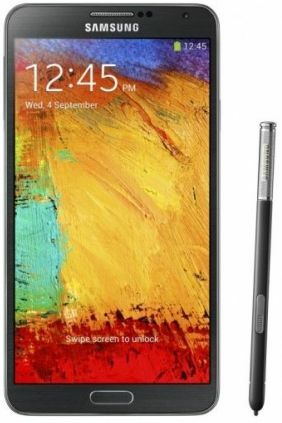 Based on Samsung’s track record in Galaxy S series and Galaxy Note series, it is certain, that Galaxy Note 3 will be an “upgrade” to Galaxy s4, not just an upgrade to Galaxy Note 2. This is the product strategy for Samsung. When S4 was released, there is about one year time for competitors to beat S4 with newer hardware. Note series at least shorten this window to 6 months. So, what will be seen in Note 3? Here is the top 10 list. Galaxy Note 3 will surely have full HD (1080p) screen. And it will surely be Super AMOLED made by Samsung. Early this year, before Galaxy S4 was announced, there was a rumor that Samsung had problems with full HD on AMOLED. S4 stopped this rumor. So, Samsung definitely has no problems to produce full HD AMOLED display in a bigger screen. Full HD on a 5″ screen like S4 may be a waste. But for a 5.7″-6″ screen, the pixel density (arounfd 370ppi) is human eyes’ limit. More pixels will be just wasted. For Galaxy Note 2 users, it is an upgrade from HD 720p to 1080p. Exynos 5 Octa 5420 will very likely be used on Galaxy Note 3. This is an improved version of Octa 5410 found in Galaxy S4. The 1.8 GHz quad-core ARM Cortex-A15 and 1.3 GHz quad-core ARM Cortex-A7 provide 10% more CPU raw power than 5410. But the most significant improvement of 5420 is its GPU. It will pack the latest ARM Mali-T628 MP6 GPU, which provides 130 GFLOPS at 667MHz. 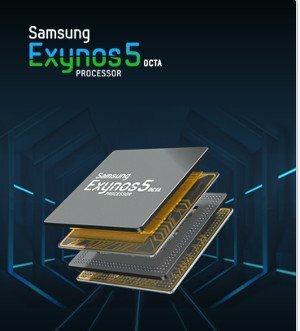 The OCta 5 5410 only has IT PowerVR SGX544MP3, which provides 51.2 GFLOPS. 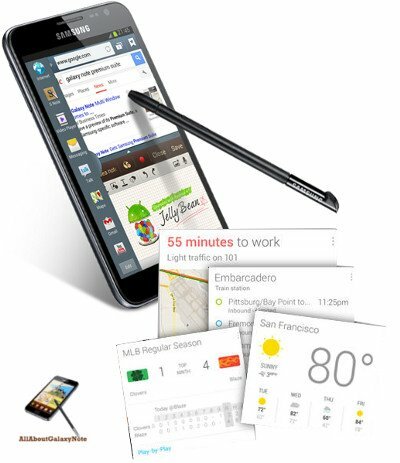 Galaxy Note 8.0: the largest smartphone in the history! Galaxy Note family now has a new member: Galaxy Note 8.0. 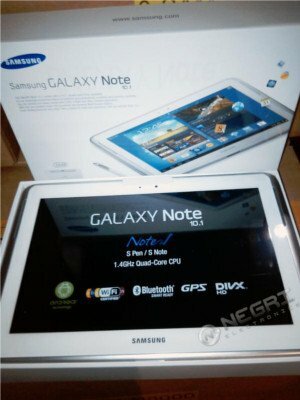 It is different from Galaxy Note 10.1, which is clearly a tablet. 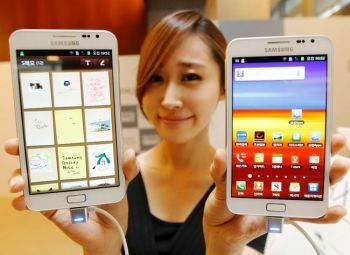 It is simply a larger version of Galaxy Note 2, a giant phone. So, this is a smartphone, at least, not a pure tablet. This can be easily identified by: 1). an earpiece and, 2).the iconic Home button and two navigation keys. The major difference to Galaxy Note 2 is the odd location of the speaker. In Galaxy Note 8.0, it is in the bottom, not on the back. Designer may come from the Mars. Specification wise, this is surely not a top-notch smartphone or tablet. It is merely a not-so-bad device, based on today’s standard. Under the hood, you get a 1.6GHz quad-core A9 processor (it should be a Exynos 4XXXX), a 2GB RAM, a 1280*800 PLS display, a 16/32GB storage, a 4600mAh battery. The weight is only 338g, thanks to its full plastic exterior, except display and bezel. Typical Samsung style. 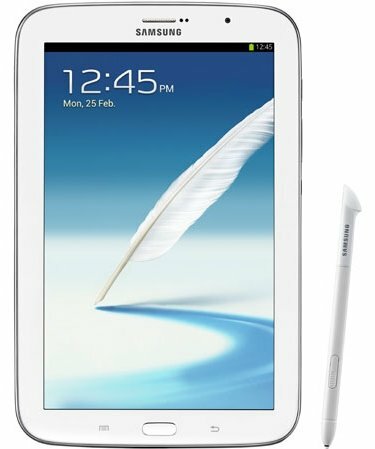 The good news for Galaxy Note and Note 2 users is now you finally can use S Pen for the menu and back buttons. You also get a new reading mode to make your reading more comfortable. The bad news is it runs on Jelly Bean 4.1.2 (just like most Note 2 and Note 10.1), not the latest 4.2.2. Disappointed, although you will very likely get the update later. More disappointed, the battery is not removable. The most disappointed: the main camera has no flash. So you can guess its quality. The 5MP tag reminds you the price is not in the cheap side. However, if you compare this giant phablet with the tablet with similar form factor (e.g., iPad mini). It is actually quite decent. So, the imaginary competitor of this Galaxy Note 8.0 is not smartphones, but 7-8″ tablets. Samsung probably hopes this giant phone will be the king or queen in this form factor. This could have been true if the specifications were slightly elevated. S Pen is something unique in our Galaxy Note. ICS (aka Android 4.0) update simply made our Note more useful with some new apps specially for S Pen. 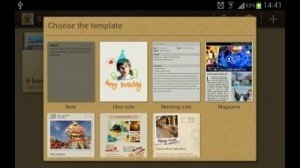 S Note is one of these new and interesting apps. 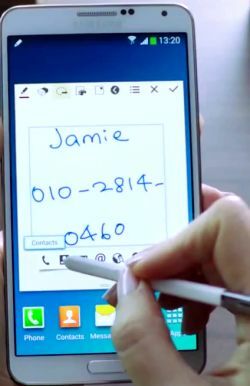 However, some Galaxy Note users are not sure how to use S Note, although, Samsung already includes the 6-page S Note tips, 6-page productivity tips, and 6 samples (not sure why Samsung guys like 6, 6=s) in the S Note app. 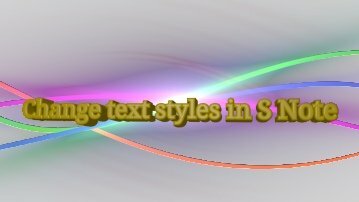 So, I created this tutorial to give you some idea how to use the productivity tools in S Note. This tutorial works on all Note devices: Galaxy Note, Galaxy Note 2, Galaxy Note 10.1 and Galaxy Note 8.0. For Galaxy Note 3 and Galaxy Note 10.1 2014 Edition, this productivity tools is integrated into S Note app. So in the new S Note app, you can not find this tools directly. Please read this post for more info. 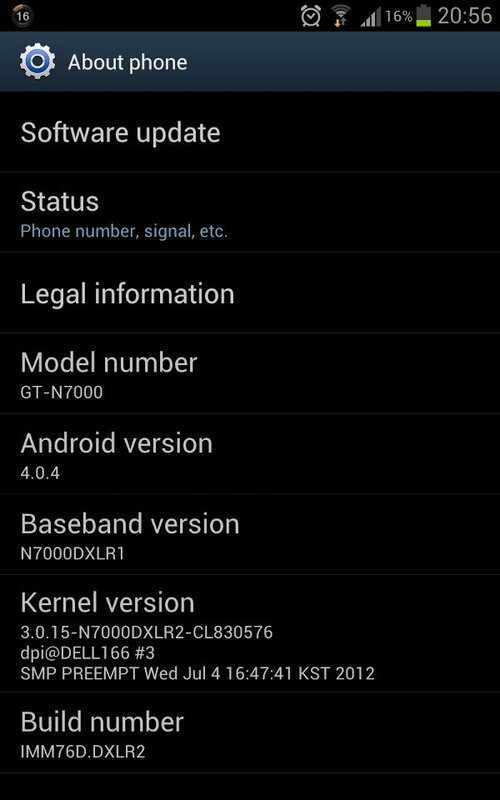 After 2 months of the initial ICS update(4.0.3) for Galaxy Note, Samsung now quietly roll out ICS 4.0.4 globally. I was a bit surprised when I saw the update notification, because I just got the information the 4.0.4 update would be roll out gradually. Apparently, immediately after releasing the ICS update for AT&T’s version Galaxy Note on July 11, Samsung also pushed out the ICS 4.0.4 update for Galaxy Note users in German. And today, more regions including most European countries and Asian countries get the Android ICS 4.0.4 update for Galaxy Note. Hopefully, this update will solve some of the battery issues most users experienced in GB and ICS 4.0.3. 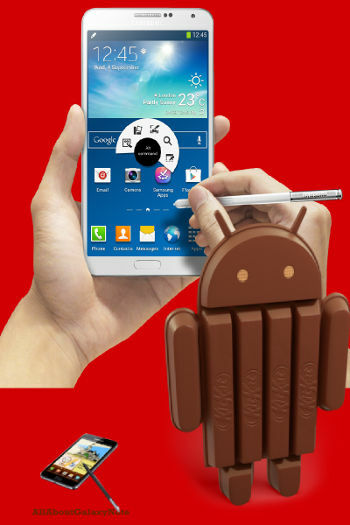 Now, all Galaxy Note users are expecting the next major update for Jelly Bean (Android 4.1). 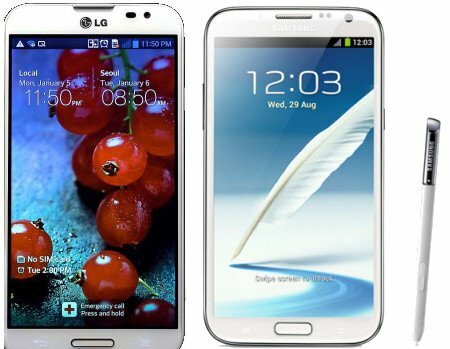 The information we have is that Galaxy Note and S3 will get the Jelly Bean update, probably in Q1 2013. 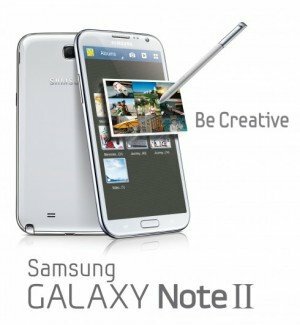 Also, the coming Galaxy Note 2 (with ICS pre-installed, not Jelly Bean) will be very likely announced in the IFA 2012 (August 31-Sept. 5) and start to shipping in November (roughly one year after the release date for Galaxy Note) . So, hopefully, in the Q1 of 2013, both Galaxy Note and Galaxy Note 2 will get the Jelly Bean (4.1) update. Anyway,today’s minor update (from 4.0.3 to 4.0.4) is about 100MB. So, please try to download through WiFi or Kies if your mobile data is very limited. Any questions? please post the in the comments section below or in the Galaxy Note Forums. You may already notice this blog was updated this weekend: from a blog to a community. 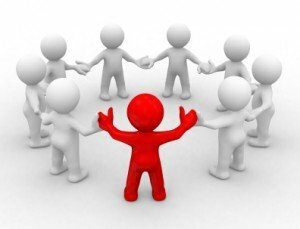 Blogging is an effective to share experience, to discuss some specific issues with a small group peers. 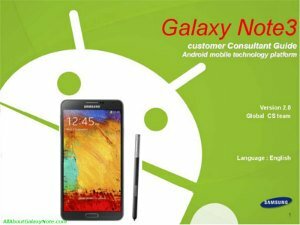 This is the original format of AllAboutGalaxyNote.com, powered by WordPress. However, when a blog post has 100-200 discussions, the limitation is obvious: it is hard to navigate (although WordPress is really a solid platform). In addition, it is very hard for a visitor to start a new topic due to the default security control in WordPress. So, an integrated forum is needed. Sometimes, some people prefer private discussions. This is also hard to implement in WordPress.A private messaging system would be also helpful. Now the communication is N-way. Please give us feedback on any features, as well as your other suggestions. What else do you want to have here? Yes, ICS update is available for about one third Galaxy Note users. To get the most current status on the availability of ICS update in different regions, you may check this post (I will update it once new info is available). I received some inquiries on ICS update for Galaxy Note: some are through comment of the post mentioned above; others are through Google+. For all these questions, I tried my best to answer them, and will continue to answer them. I noticed there are some repeated questions, so I decided to put some frequently asked ones in this post to save reader’s time. It will not be just 10, as I will always update it if it is necessary. Question #1. Why did some users get the ICS update earlier than me? Normally, firmware update must go through local testing. For regions with more users (and so Samsung collected more money there), the testing usually is faster. And Samsung also may put some sorts of priority for such regions. The second reason is that the local carrier may want to bundle more bloatware (in addition to that bundled by Samsung). This may slightly delay the update availability. If your handset is subsidized, the carrier always tries very hard to give you more bloatware. Another possible reason is marketing scheduling. For example, if Samsung is planning to launch Galaxy S3 in your region, usually it is not a good idea to release ICS update for Galaxy Note (another flagship product) just a few days before the launching event. In this case, the update will be normally scheduled after the event. Question #2. Why should I update to ICS? ICS update for your Galaxy Note is just a software update. Software generally is getting better and better: more stable, more functions, more compatible apps. Android 4.0 (ICS) is a major update merging software stacks for phone (Ginger Bread) and tablet (Android 3.0, Honeycomb). So, it is almost perfect for Galaxy Note, which is somewhere between phone and tablet.